I am humbled by the opportunity I've been given to review a version of the God's Word. 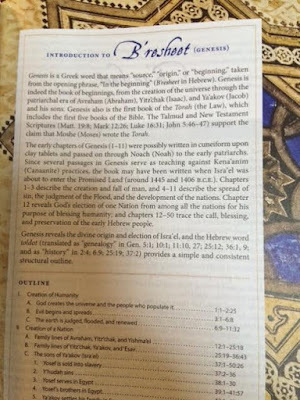 Obviously, it's definitely not my place to review the words that God has spoken, however, The Complete Jewish Study Bible has a special place in my heart and for that reason, I'm honored to share this amazing resource with my readers. The Jewish people are close to my heart because they are the ones God chose to bring the gospel through. By the grace of God, I have been included as one of his chosen people and because of that, I think it's important to understand the Jewish culture, people and the history of where Jesus, grew up and carried out his ministry here on earth. The Jewish culture is the context in which the Holy Bible was written, so it makes sense that understanding their culture and customs will give us a great understanding of God's word. 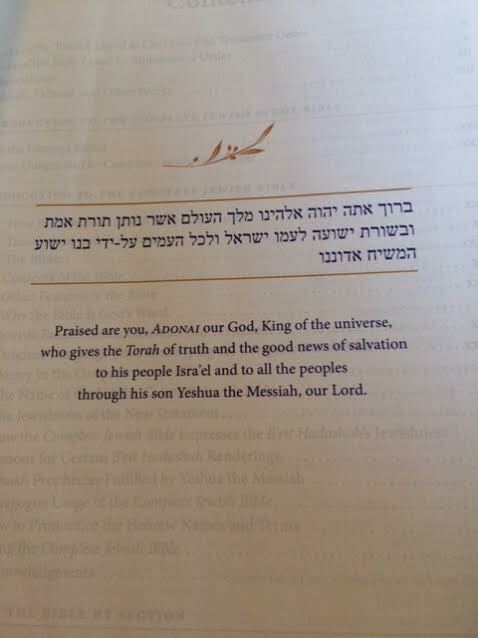 The resources offered in The Complete Jewish Study Bible give an authentic display of the Hebrew language which offers a depth to the text that is often lost in English translation. 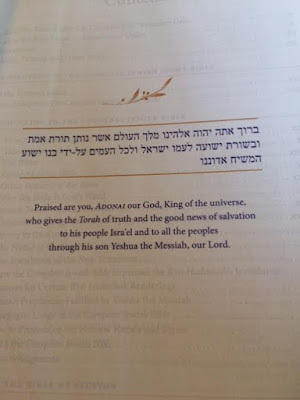 The original Hebrew names for God, such as Elohim, Adonai and Yaweh, are used throughout the text giving readers a deeper understanding of who God is. Overall, I have loved learning more about the culture of the Jewish people and how it ties in to my own faith. This is a great resource for every Christian seeking to dig a little deeper into God's word and the history of His people and what lies at the roots of the Christian faith. For more information on The Complete Jewish Study Bible, view the video below! You can purchase your own copy of The Complete Jewish Study Bible by clicking HERE, or enter to win your very own copy to read and study with. Follow the instructions below! *Thanks to the CWA Review Crew for this complimentary book, accepting my unbiased positive or negative opinion. Awesome!!!! Thanks for sharing this. I am so excited about this and hope to get myself a copy soon! By the way, I enjoy your blog. I just recently started blogging, and I am happy to read your encouraging words! Be blessed and keep sharing God's heart!